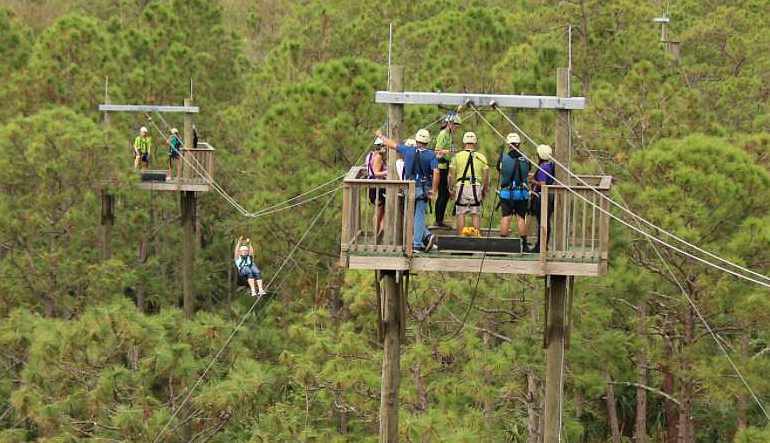 Three fun adventures all rolled into one neat package – it’s fun from start to finish. 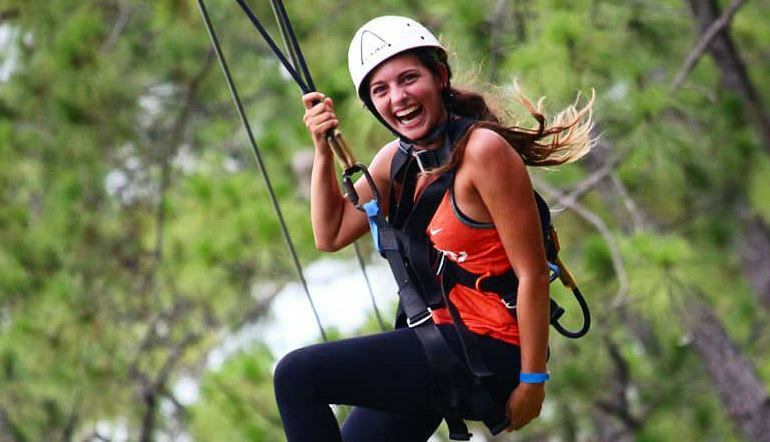 Zipline, freefalls and more! Three Unique Rides in One Convenient Location! Brace yourself for a day like no other. You’ll get to experience 3 totally new sensations. That means 3 times the heart-pumping fun you’re looking for. 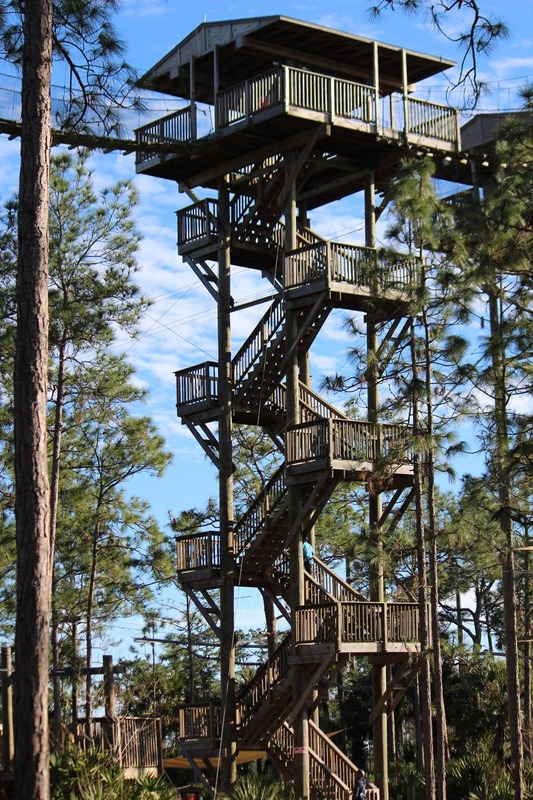 The Rattlesnake Roller Coaster: Launch from a 65ft high platform and fly at speeds up to 20mph through the treetops. 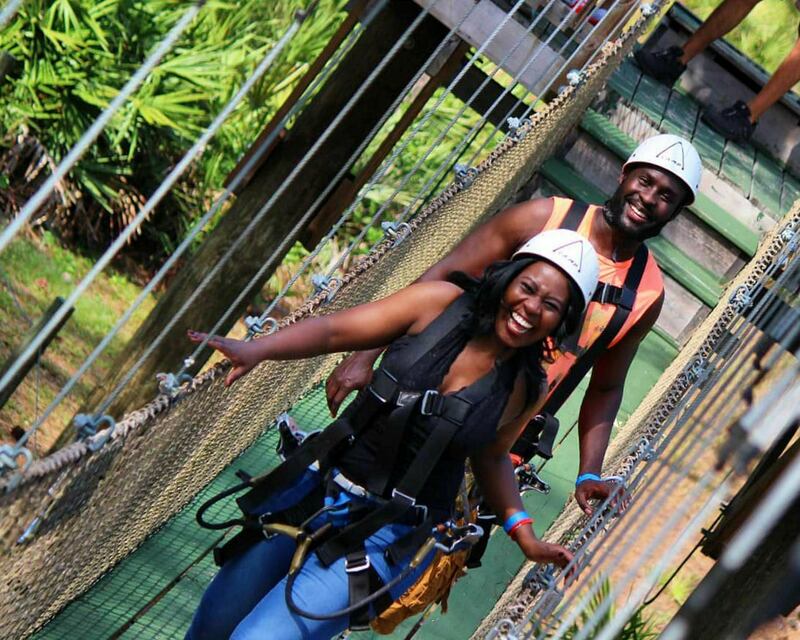 This zipline is inspired by a rollercoaster so you get that wonderful feeling you come to expect from the world’s biggest coasters without having to wait in line! 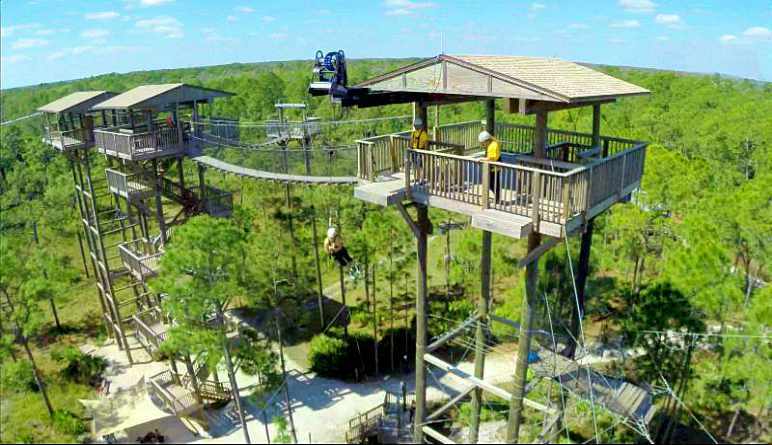 The Panther Pounce: Take the ultimate leap from a 68ft platform and freefall to the ground below – of course doing so in a safely controlled environment. This is one-of-a-kind! 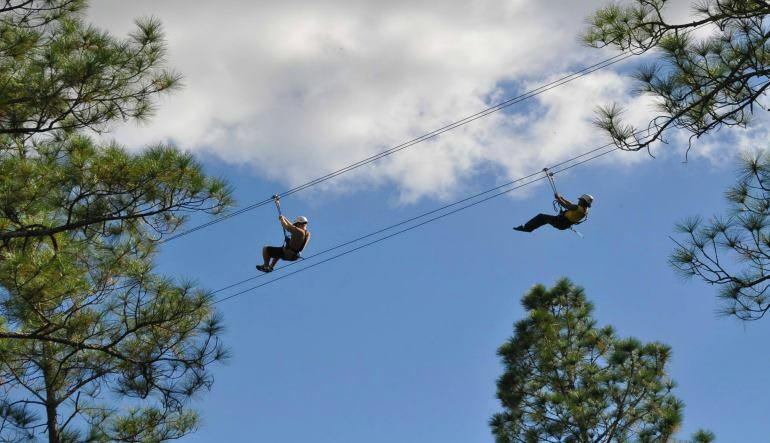 The Pereguin Plunge: The longest single straightaway zipline in Florida! Soar 30mph down 1300ft! Three fun adventures all rolled into one neat package – it’s fun from start to finish. Book your thrill pack today! Miriam was our instructor and she rocked it! She gave great instructions and made people laugh. She went a long way to make sure people were having a good time. Will try the other adventures if I’m back in Florida. Very wonderful I was so scared but it was the best. Great friendly staff, amazing time, definitely would recommend it. Must weigh at least 55 lbs. Maximum weight is 265 lbs.